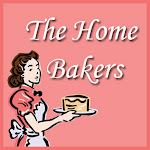 I am very excited about my new venture and that is baking with a lovely group which is quite new and called The Home Baker's. This is our second bake. I missed the first one because of Passover but I am hoping to catch up. If this cake is a sample of what we will be baking, as we bake through Coffee Cakes by Lou Seibert Pappas, I am going to have a happy husband. As some of you have realized, hubby does not like fancy cakes. Actually, he wants cakes with NUTS in them so a book of coffee cakes should have lots of options for him. This recipe, of course, had nuts but they were pistachios, a nut, I rarely have baked with. I did not have to be concerned since he loved this cake and put it up, on the top of his mental list of what he likes. 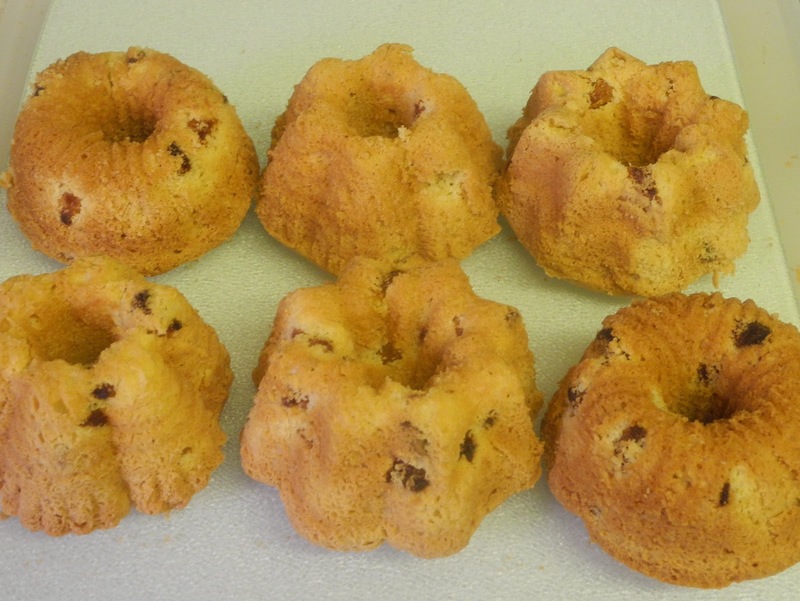 is a cake which I plan to make again with different combinations of nuts and dried fruit. I find that using lemon peel makes a difference in bringing out the flavor and in this cake, we noted the lemony flavor, not overwhelming but present. There is a lot of batter in this recipe and I made it all. Instead of making one large bundt cake, I made several mini bundts. I love to use these. They come out more easily than the large bundt pan. I know, I am a coward. For us, this is more practical. This is my hubby's cake and he certainly can't eat of this, right away. I have frozen some of the minis and he has eaten the rest. With an apricot glaze - Boiled down some apricot jam. For the recipe, please check out Chris from Yummy Bakes. To see what other members did, check here. Hi Chaya! 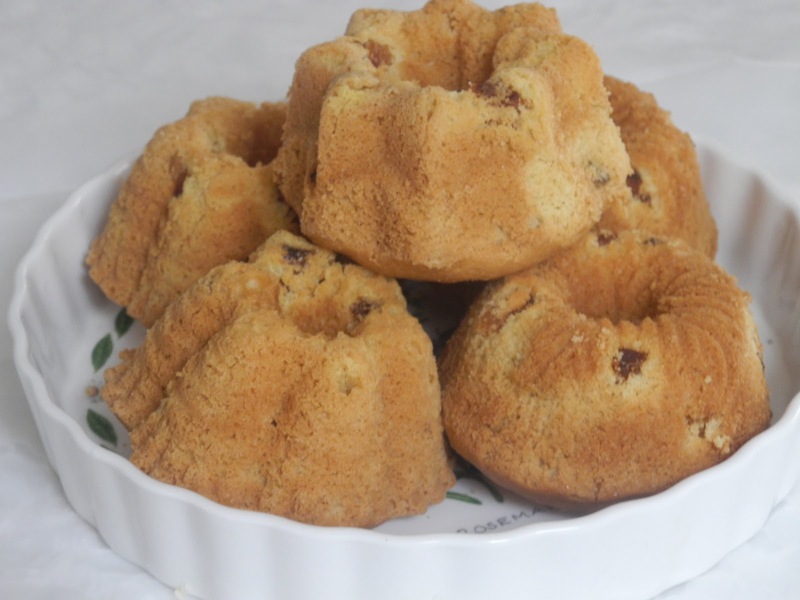 A lovely idea to make these in mini bundts, I did thought of doing that, but by using one bigger bundt, I would only wash one pan! Hahaha, that's me, can be very lazy at times! I'm glad that your hubby enjoys it, I think most of us like this cake too, I love the combination of apricots and the lemons, both being my favourite! Looking forward to next bake, which will be your turn to host! Have a nice day! Your mini bundt version looks cute. Like the idea of having apricot glaze over it. Lovely results you got there! This cake was yumms! Great idea to put glaze on top. Those minis look so cute. I like the idea of baking into mini cakes. Lovely cake with the apricot glaze. Well done! hi chaya, nice to know you thru the home bakers. yes, doesnt matter if the fruits sank to the bottom, taste is what we're looking for and am glad to hear that your husband likes this very much andi'm sure all of us who had baked this also enjoyed it! Your mini bundt cakes always look so tasty. I'm going to have to get me a pan! Baking after Passover is so much more fun! 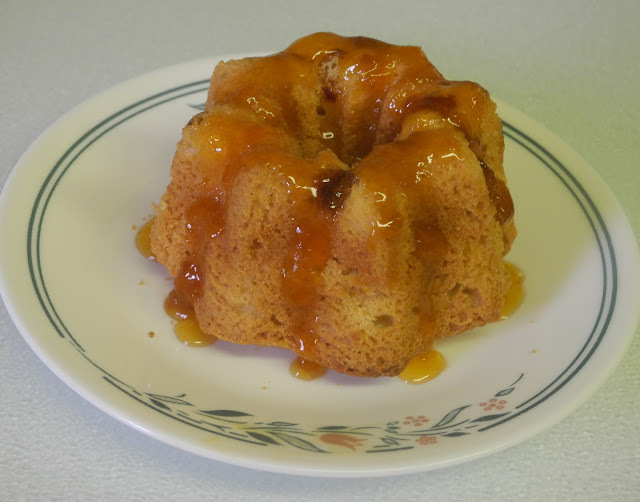 pretty mini bundt cakes, and I love the one drizzled with apricot glaze, yum! A happy hubby, and i understand why! This is a real nice cake. Happy to get baking with you. I love making mini cakes. So pretty!